On 7 October 1988 Matthew Shepard (then 21 years old) was attacked by two men, who targeted him because he was gay. He was tied to a fence in Laramie, Wyoming, and left to die. This brutal event generated a number of artistic responses, notably the play The Laramie Project. 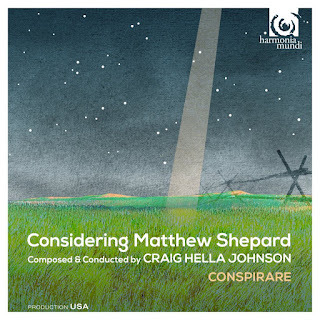 Considering Matthew Shepard is composer/conductor Craig Hella Johnson's musical response to the events of October 1988, here recorded by Hella Johnson and his choir Conspirare on the Harmonia Mundi label. The night Matthew Shepard died, he had been to a meeting of the University of Wyoming's Lesbian, Gay, Bisexual and Transgendered Association, where the speaker had been the author Leslea Newman. Newman later wrote a sequence of poems arising out of the event, October Mourning: A Song for Matthew Shepard. Hella Johnson's libretto for Considering Matthew Shepard takes poems from this collection, and adds to them words by Michael Dennis Browne along with texts from authors as diverse as Hildegard of Bingen and Rabindranath Tagore. These are woven into a poetic narrative which takes the Passion as its inspiration, as Hella Johnson uses solos, and choral numbers linked by short sections of spoken narrative. 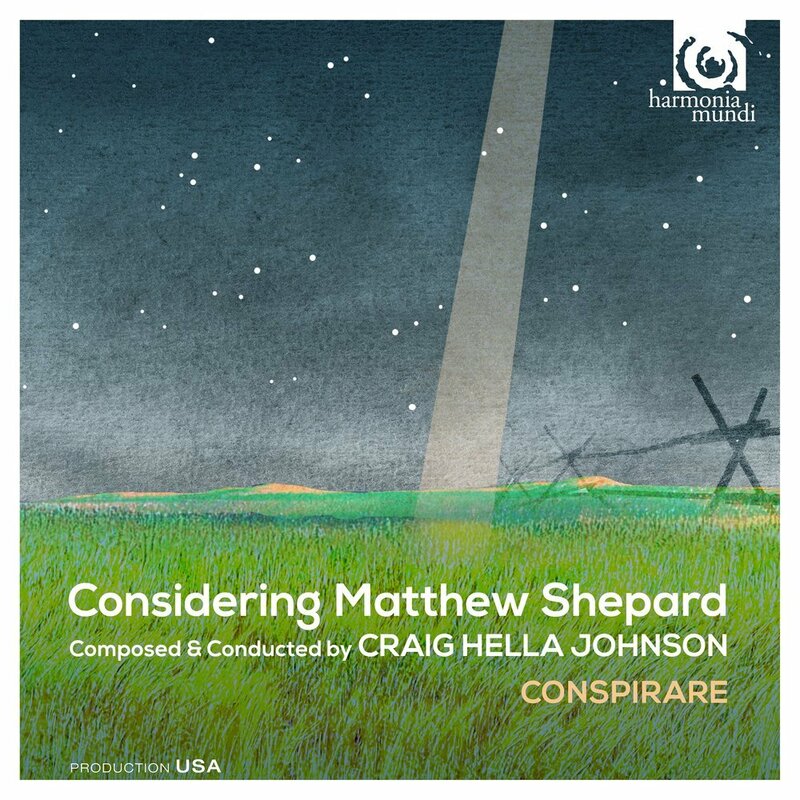 These are all performed by Conspirare, which consists of a choir of 29 singers (some of whom provide the solos), and eight instrumentalists led by Hella Johnson on piano. Hella Johnson's musical style is varied, he references a number of popular styles in the various solos ranging from Country and Western, and Blues, to more generic lyrical musical theatre, and the choral writing is equally as varied with both minimalism and the Swingles coming into play at various times. You can hear Hella Johnson talking about the work on YouTube. The result is clearly deeply felt and, at times, rather moving, particularly as it is so finely performed so that the piece flows beautifully and creates quite a contemplative feel. For me the music, though seriously considered, approaches a little to close to sentimentality. Hella Johnson's music response seems to be rooted in musical theatre and there were moments when I wanted the music to be more austere, less lush and far edgier. But it could be argued that the style reflects something closer to the popular music that might related more closely to the music Shephard himself would have listened to. The events of October 1988 are difficult to evoke in music, neither a scream nor a saccharine ballad is quite the most appropriate response and many people will find Considering Matthew Shepard to be evocative and rather moving. Ultimately, for me, it was a work which I admired rather than it touching me and it came nowhere near to other modern responses to the passion story, such as those by James MacMillan, or MacMillan's response to the Dunblane massacre, A Child's Prayer.